Hunting for some cute Indian wear and are on a budget? Relax, as we found Vintage Earth, one of the cutest stores we have come across in a while, that caters to just that. 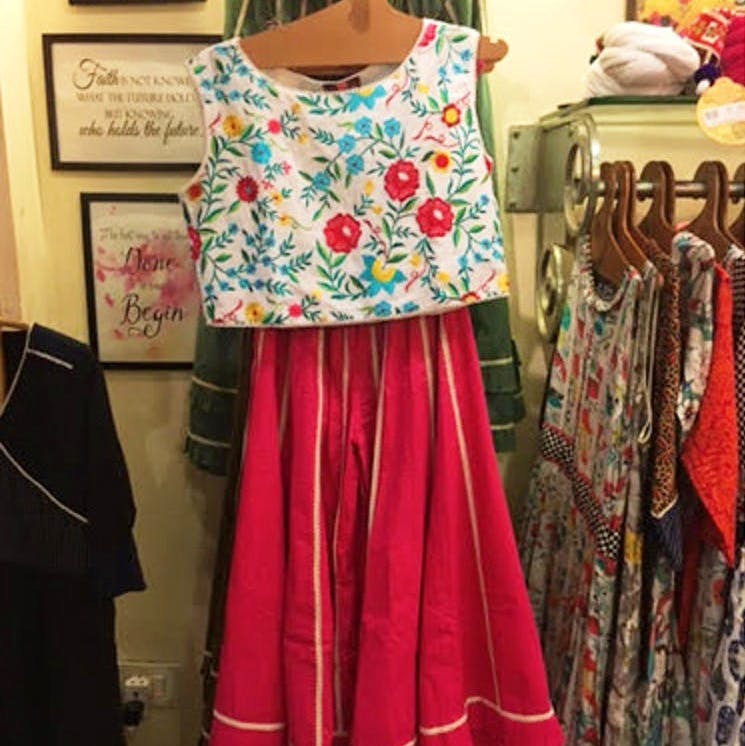 A shop that is inviting from the start itself, Vintage Earth is a colorful shop that stands out of the crowd at Lokhandwala Market in Andheri. Rows and rows of colourful cotton prints and patterns will greet you – a patchwork curtain, a sashaying pink skirt and other bright and beautiful objects. You're going to love this store if you like bright colours and quirky floral patterns, with a desi twist. The kurtas are priced at INR 1,550 and upwards and you will find many styles right here under one roof, be it the collared long kurtas, or regular boat necks and more. You can also shop for palazzo pants to go with these kurtas. If you're someone who likes to sport short kurtas, there is a wide variety of those too. Beautiful short skirts in different colours will definitely steal your heart (and money!). Most of the clothes here are made out of either mal or cambric cotton and other things in georgette, and a little chiffon as well. If you are lucky (and they have stock), you can find quirky cushion covers (INR 650 and upwards) for your home. After you’re done shopping, they pack up your clothes in pretty little cotton bags to go. If you haven’t been, you’ve got to visit here. You will find something for everyone in the family here (check out something for mom, if you;d like).